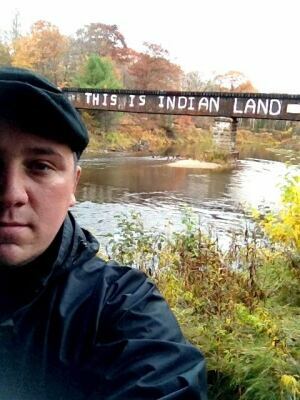 Ryan McMahon is a comedian, an activist, and the host of the popular podcast Red Man Laughing. McMahon has appeared in a number of CBC-TV comedy specials and is currently working on his first national special for CBC Radio. These kids weren’t babies. They weren’t even toddlers. They were grade school kids. Grade school kids with legs. I heard the parents joke about the fact that dragging their kids to school was the “toughest thing they’d do all day.” I don’t have an anger problem, in general, but I walked home that day fuming. I’m not sure what triggered the anger. My thoughts on parenting aside — it really bothered me that I felt so angry. It bothered me that I had such a reaction to such a small thing. I smudged on it. Slept on it. Prayed on it. A day or so later it came to me. So many indigenous people in Canada are tired. The hardest thing we face in our communities daily is not dragging our kids to school in sleds and toboggans. Elsipogtog. LubiconCree Nation.Attawapiskat. Northern Manitoba. The fight for our women. The fight for our children. Poverty. Addictions. These are just some of the hardest things we face in our daily lives. The list grows daily. The answers elude us. The frustration grows. The support wanes. The players change. The teams stay the same. And we fight. And fight. It’s been a long year. An intense year of focus. Growth. A year of being Idle No More. A year of rebuilding. It’s been beautiful. And ugly. Every day is a struggle. We live in crisis. We work in crisis. Attawapiskat Chief Theresa Spence gave us the strength to demand a better deal. To sit at the table with all partners in this relationship. 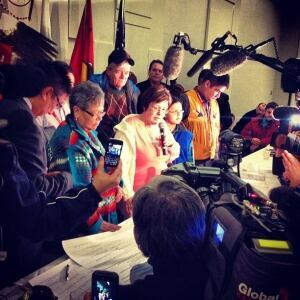 Her demand was simple — indigenous communities, government and the Crown together at a table. It easily could have happened — but it didn’t. The takeaway from a year in the movement — we need to do things differently. We can do things differently. The conversation has changed this year. Our youth are more engaged on the ground. Our women are taking their rightful places at the front of much of the grassroots planning. As hard as the fight is, it’s given us much to focus on. Let me put it this way — the land is my god. All the land gives me, from my traditional territory, is what I use to keep me well. The land, water, plants and animals are all present at my ceremonies. We don’t separate ourselves from the land. Why do we fight for the land? For practical reasons — yes. Dirty water kills us. Poisoned fish kill us. Clear cutting destroys ecosystems. But it’s also bigger than that. My religious beliefs depend on the land, use the land and without that, I cannot be Anishinaabe. Treaty is not honoured today in this country and it cannot be honoured inside the Indian Act system. We must not settle for anything less than treaty enforcement. We will continue to lead ourselves out from under the Indian Act. The colonial relationship has to change. It’s fundamental. We need Canadians to demand it. We need indigenous people to demand it. This outdated, racist and oppressive legislation was meant to kill Indian people in this country. Law and legislation was never written for idigenous people to flourish. It was meant to kill us. We don’t want the Indian Act tinkered with — we want it gone. We need to remind ourselves that we don’t need permission from any government or politician to be Anishinaabe, Nehiyaw, Mohawk, Mi’kmaq, Metis, Inuit. We can live this way everyday. Not all of us understand what this means. It means language, culture, ceremony and teachings. It means returning to ourselves. It means calling for an end to the violence in our communities — violence experienced in multiple ways by our women, children, men, and elders in our communities. We must restore the love and support in our relationships. 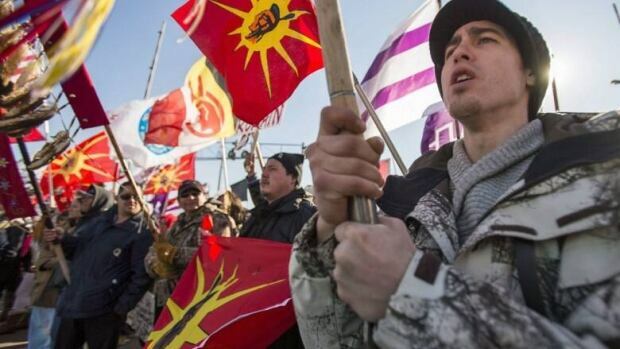 The largest indigenous movement in this country is in front of us. Yes, it’s still a movement. We’re still working. We’re still pushing. We’re still asking people to join the fight. We have a lot to do. Most people have more questions than answers. Some of the answers are there. The Royal Commission on Aboriginal People and the United Nations Declaration on the Rights of Indigenous Peoples are decent places to start to look for answers. I vow to continue to fight. I will take my place in the circle and fight. I’m going to continue the fight with a sled in my hand though. I’m going out to buy one today. I want my daughters to feel the privilege and entitlement those other kids have if not for just a few minutes a day. They deserve it. And hopefully when they’re my age the fight won’t be as hard. Enter your email address to subscribe to The Harbinger and receive notifications of new posts by email.